Two great romantic violin concertos are played with utmost mastery and beauty and a very soft touch that benefits especially the Korngold. Unlike on [HA33]his later recording with Anne-Sophie Mutter, André Previn neither plays up the film music aspect (much to the performance’s benefit), nor does Shaham self-consciously struggle against its Hollywood-ring the way the work’s dedicatee Jasha Heifetz does. It remains the top choice despite increasingly stiff and able competition from a crop of young violinists who are discovering Korngold for themselves. Benjamin Schmid’s terrific performance of the concerto at the 2004 Salzburg Festival under Seiji Ozawa with the Vienna Philharmonic is lively and leaves no punch unthrown in the finale. It’s admittedly very much a live recording . . . even including applause after the first movement: musically appropriate but highly unusual on CD. To some that may make the primary attractions of this festival document the three other works from that year’s Korngold-retrospective. There’s the substantial Suite op. 23 for two violins, cello, and piano left hand, and the two shorter works for violin and piano with violinist David Frühwirt: Much ado about Nothing and Helen’s Song—an aria-transcription from Das Wunder der Heliane. 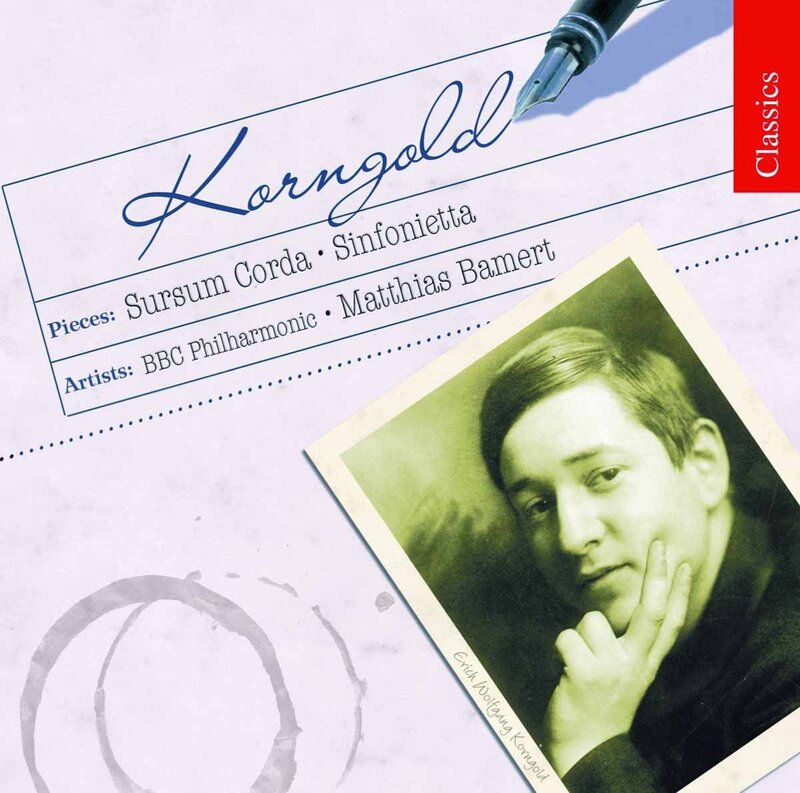 A lot of fine Korngold on one convenient disc. 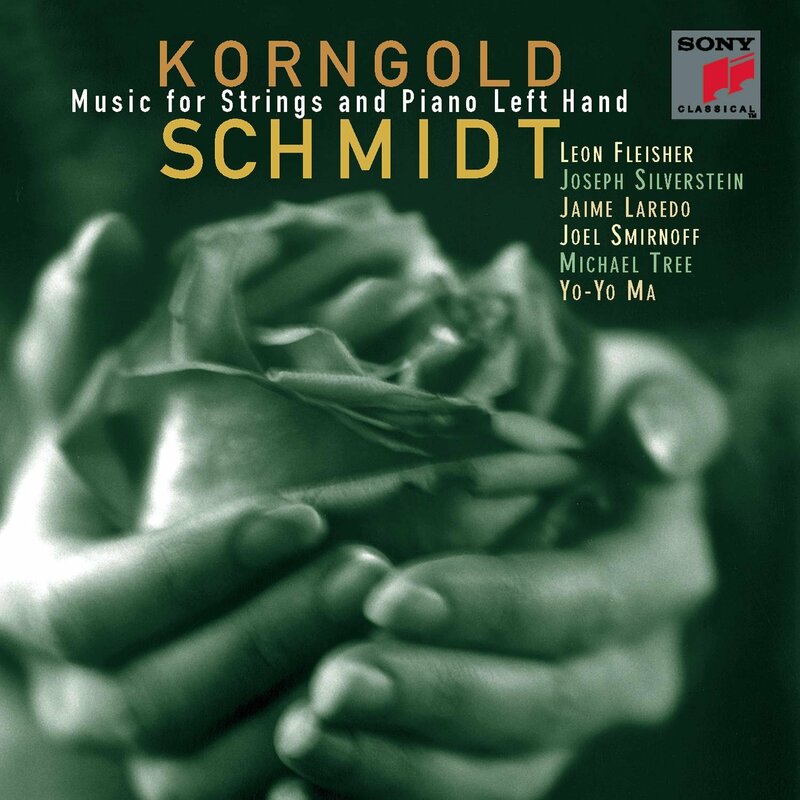 Korngold, Symphony in F-sharp et al. Curiously the Symphony—dedicated to F. D. Roosevelt—was broadcast before it was premiered in concert: it was upon Rudolf Kempe and the Munich Philharmonic to do the latter, and that’s also where the first recording of the work comes from. Despite a few cut bars, it’s the rawest and most exciting reading, worthy to pick up if you can find it at a reasonable price, used (on Varese Sarabande). The best modern recording of this Symphony, certainly at EMI’s (now Warner’s) budget price, comes from Franz Welser-Möst. This is sumptuousness-become-manifest. Barbara Hendricks’ ‘‘Simple Songs’’, op. 9 (4 out of 6) and Marietta’s famous aria from Die Tote Stadt are more than just fillers. 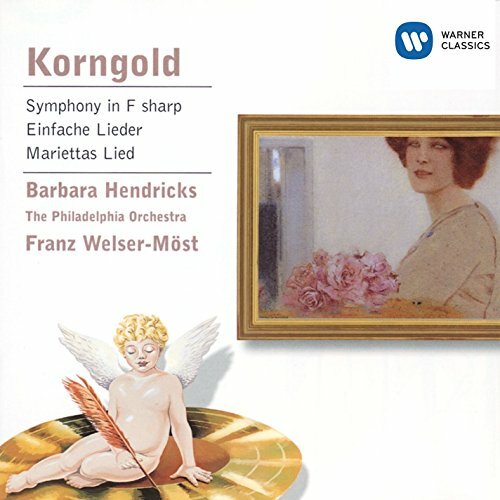 If symphonies are your thing, this might be the best way to get started with Korngold. There really isn’t a recording to challenge Hamelin’s account. 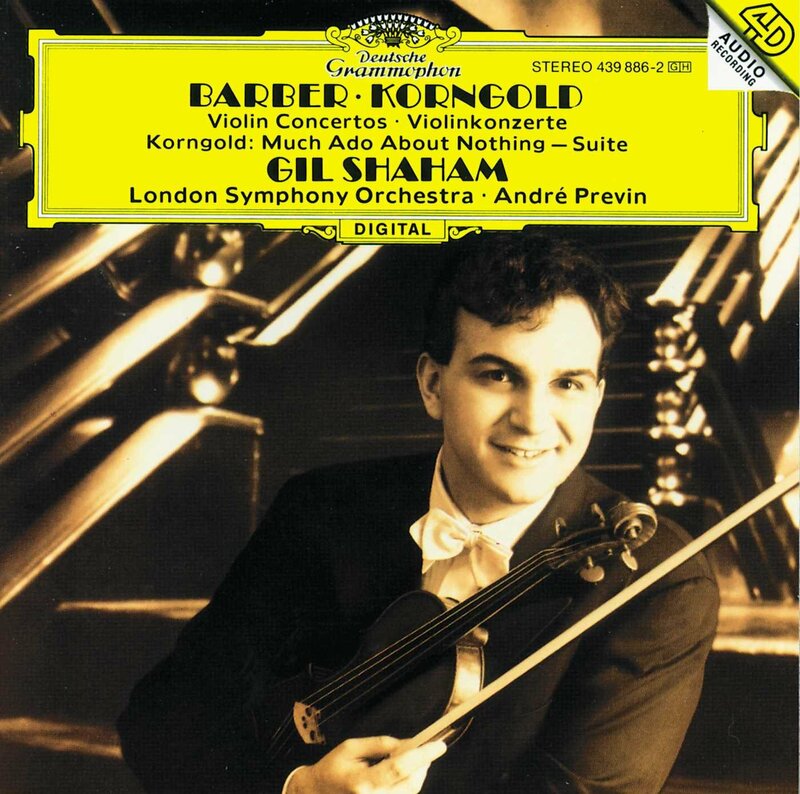 If the Violin concerto could be thought of Korngold’s Rosenkavalier, the Piano concerto would be his Salome (Gary Graffman). 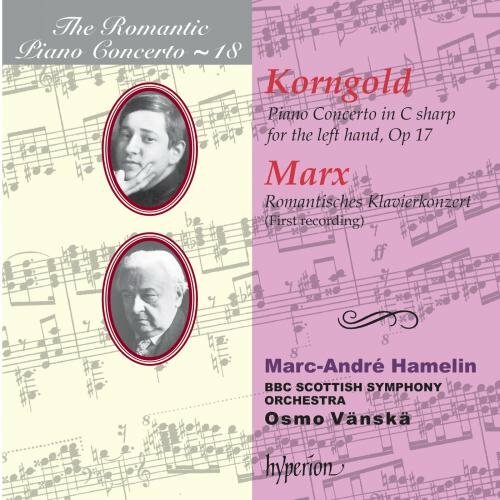 The coupling with the deliciously über-romantic, gushing Marx, on Hyperion’s volume 18 of their Romantic Piano Concerto series, is ideal. Marvelously played and programmed, this combines three concertos that all belong in this book. Korngold culled and expanded the Cello Concerto from a sequence he wrote for the Bette Davis film Deception in which a cello concerto features. For a bit of American music trivia: Korngold’s Cello Concerto was premiered by the Hollywood String Quartet’s Eleanor Slatkin—while she was pregnant with Leonard Slatkin’s little brother Fred Zlotkin. The two brothers have even recorded the work—for a freebie disc that came with the BBC Music Magazine many moons ago. Two of the most wonderful chamber works from that period from composers that would go into such different directions, musically, if not geographically. The camerata freden brings a tenacity to these works that makes both works more interesting listening—but maybe less inviting by eschewing superficial beauty for depth. 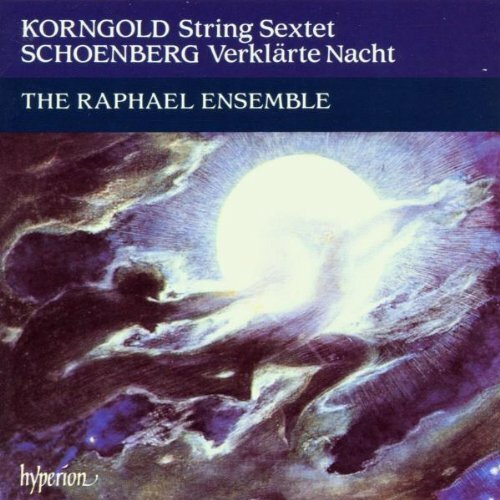 If you have already been seduced by Korngold, this should be an obvious addition to the collection. The all-star cast—central among them Fleisher, a pianist who understood what being limited to the left hand meant like no other since commissioning pianist Paul Wittgenstein—tends to these rarely performed works with great care and passion. cause the more radical Haas Quartet does rather steal the limelight. All the same, it’s a terrific work, too, and very nicely played by the promising Adamas Quartet. This or the 1975 recording under Erich Leinsdorf (RCA Victor Gold Seal 7767) is a fine choice for this standard work in the canon of romantic opera. The Naxos recording makes for a surprisingly tenacious, evenly cast, and marvelously conducted challenger to Leinsdorf’s classic set. These are two early symphonic works and they are tremendous achievements, rivaling the Symphony for bristling romanticism. Bamert and his forces revel in every aspect of it. In Chandos’ very welcome series of Korngold reissues, this one should probably rank the highest. The Sea Hawk and other classic film scores in excerpts on a magnificent recording with Gerhardt used to be possibly difficult to find but had always been worth seeking out. (It has since been reissued.) If you want to hear the very complete music of Sea Hawk, go with William Stromberg’s very fine recent Naxos recording. I prefer the Downes recording of the Symphony to the Welser-Most and Bamert, and the James de Priest version is nearly as good. Downes is on its way into my collection.